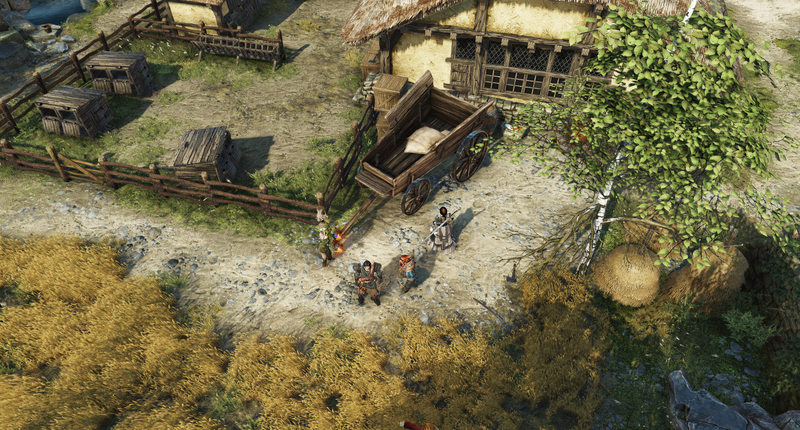 I could not have been more excited to see Larian Studios' pre-alpha build of Divinity: Original Sin 2! 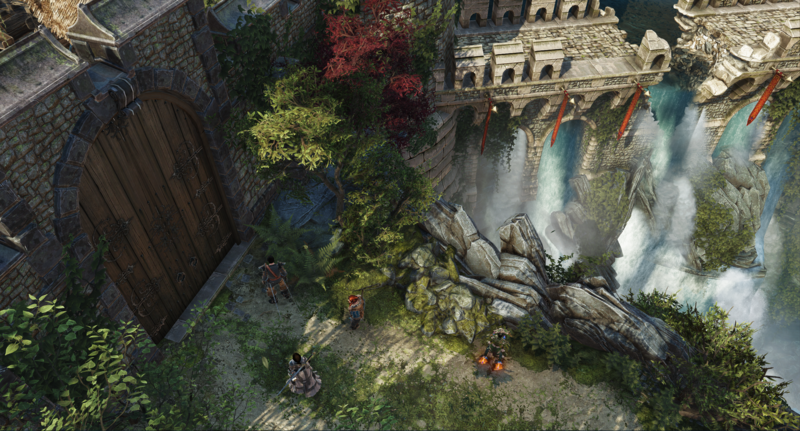 It seems like just yesterday I was trying out Divinity: Original Sin Enhanced Edition's new split screen mode and - BAM! 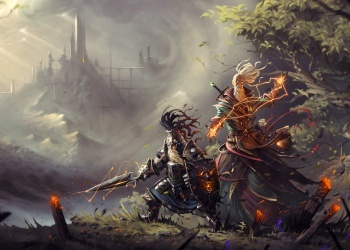 - here's a brand new game that's been in the works for about a year, according to Swen Vincke, Larian studio founder and creative director. 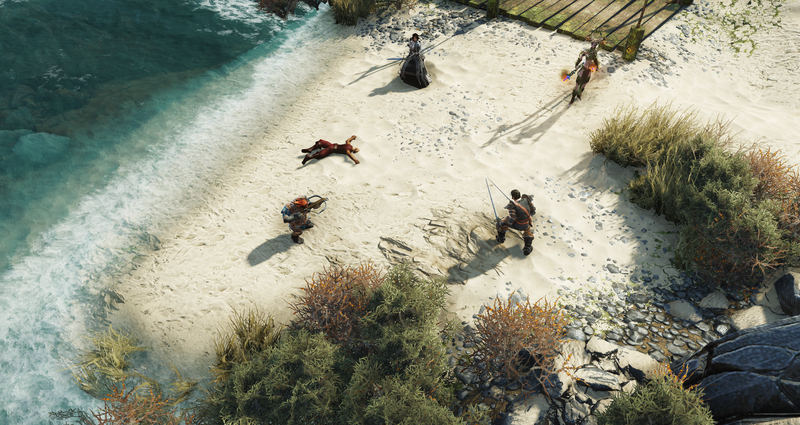 The incredibly complex, top-down RPG is becoming even more intricate thanks to extra funding from Kickstarter, adding races, origin stories, skill crafting, a competitive co-op mode, and direct consequences to player actions. Each character in the party is completely unique. You choose from four different races - with the possibility of a fifth (undead) as a Kickstarter stretch goal - and there are a variety of origin stories to choose from. Your choices craft a distinct character with their own set of skills, objectives, and interactions that will change the way the story plays out. For example, in the preview I saw, we were in an exceptionally racist town, where the human guards let the human party member enter the city with little resistance, but the dwarf couldn't even bribe his way in! Earlier in the preview, the dwarf was able to recognize the history behind an old landmark, where another character could not, which was all a result of the choice of origin story. Details like these really make the game feel like a pen-and-paper RPG experience. Every party member is an individual and is important to the advancement of the plot. Expanding further upon the idea that each character has their own personal tale, characters are given different objectives throughout the game, which they are free to carry out however they like. For example, characters can now work against each other in what Swen called four player competitive co-op mode. 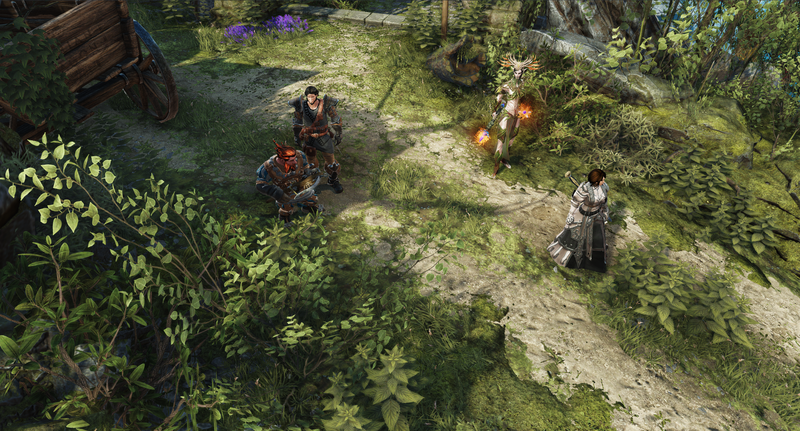 In the preview, one member of the party had received a notice that someone wanted another member of the party dead. Because the game can be played with up to four different players - up to two locally via split screen and up to four online - the player has the freedom to use this knowledge however they like. They can tell the other party member there's a bounty for their head, or they can kill them off in one of hundreds of ways and take the reward for themselves. Choices like these dictate the character's development and interaction options moving forward. 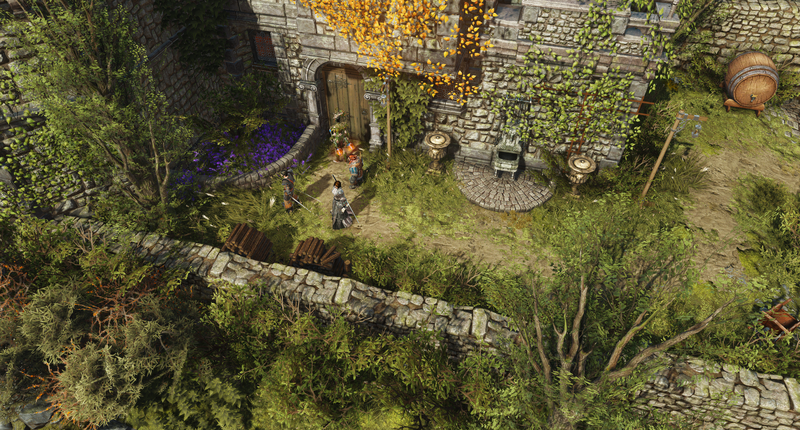 Divinity: Original Sin 2 also introduces more crafting options. You can now craft spells and skills to make more powerful - or just plain strange - options. In the preview, we combined the spells 'Lacerate' and 'Rain' to make a spell that rains blood. Awesome? Yes, but also useful. A character using the leech ability can heal while standing in a pool of blood. It's one of many clever options to really customize each game. Ghost whispering is another novel feature in the game. Ghosts exist alongside the living in this game, and certain characters can speak to them. This is a useful tool not only to gain intel, but also to gain Source Points for the players who like to choose the more evil route. Just remember, there will be consequences. With this much complexity and depth to a game, one has to wonder how the game will stay together at all. If there is no GM to bring the party back together, wouldn't the game deteriorate into chaos? 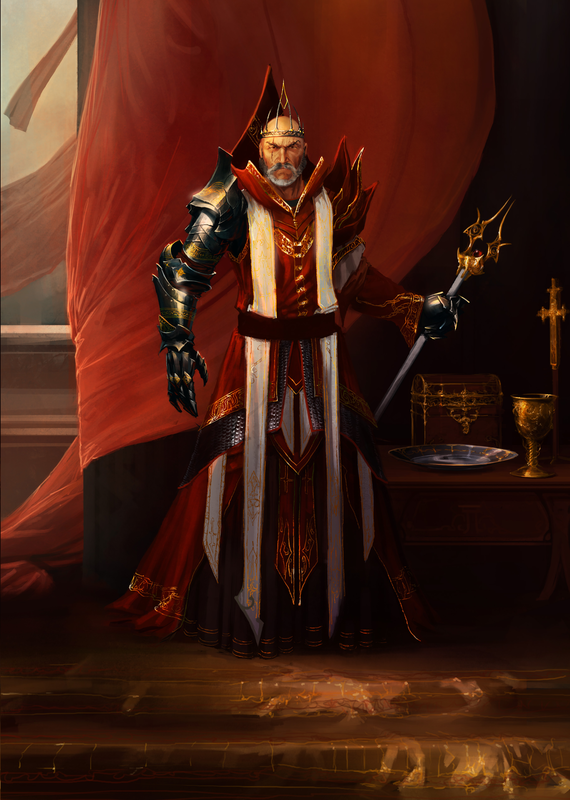 Swen assured me that Larian invested heavily in the writing team, folks with both screenwriting and tabletop experience, to act as a virtual GM of sorts. There will be missions that naturally bring the party back together as well as difficult consequences when things go too awry. 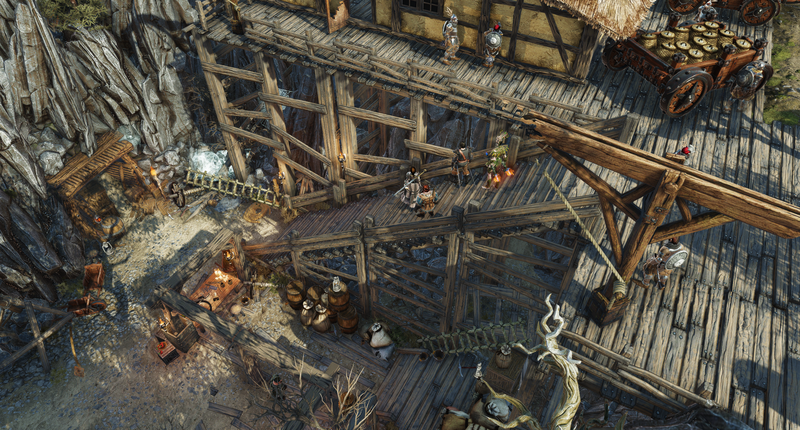 A game of such complexity is ambitious for sure, and, if successful, could really make waves in the RPG genre. To check out stretch goals, get early access to alpha and beta testing, back the project and more, check out the Kickstarter here.